Illegal mining knows no colour; reported cases are just the tip of the iceberg. On December 10, 2012, Dinsha Patel, minister for mines, prepared a statement in reply to an unstarred question placed before the Rajya Sabha. The content went largely unreported by the media, but the information contained therein, especially the annexed table, is quite explosive. 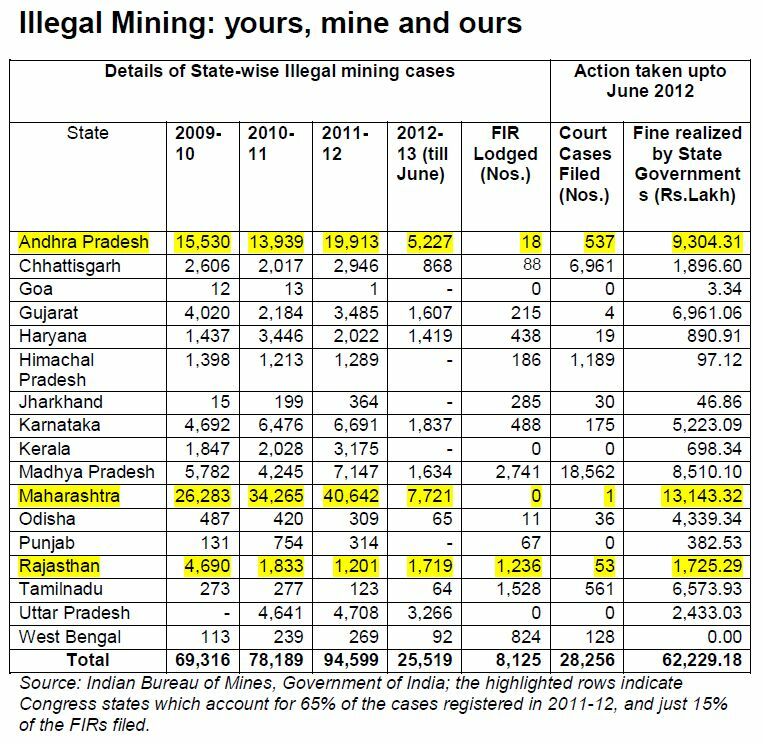 The table shows that even though illegal mining was most publicised in Karnataka and Goa, the largest number of instances of illegal mining happened in Maharashtra – where the Congress was in power. Interestingly, more first information reports (FIRs) were filed against illegal miners in opposition-ruled states. 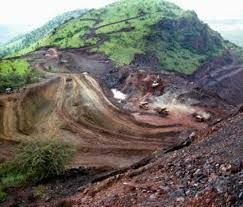 In sharp contrast, not a single FIR was filed in Maharashtra, even though it recorded over 40,000 cases of illegal mining in 2011-12, which in itself was higher than around 26,000 cases registered in 2009-10. In states like Rajasthan, the number of cases recorded actually registered a decline. Cases were filed in Andhra Pradesh only when one of the biggest beneficiaries chose to challenge the Congress at the hustings. First, that illegal mining is immensely profitable. Discussions that this correspondent had with the tribals in Naxalite-affected region revealed that the principal financier of such ‘terrorists’ are illegal miners. Reason: Illegal miners do not want organized mining, or development or even good roads in these regions. Second, the Congress is an older hand both at exploiting the ill-gotten gains from illegal mining, and at managing public opinion. Remember, illegal mining was rampant in Karnataka even during the days of the Congress rule. Third, the Opposition is no saint either. None of the opposition members took up this table to lambast the Congress. Clearly, they too did not want to upset the apple cart too much. Will the spectre of unemployment disenchant India’s electorate?